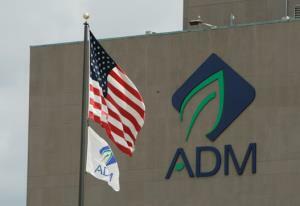 In a press release dated February 5th Archer Daniels-Midland Company (ADM) announced results for the 4th Quarter of Fiscal 2018 ending December 31st 2018. 4th Quarter Ending December 31st. In commenting on results Chairman and CEO Juan Luciano stated "our team executed well, delivering strong year-over-year profit growth in the fourth quarter," said. "Looking back on the full year, the team did a great job focusing on the items we could control, as we continued innovating to serve customer needs and advancing our strategic priorities. Our effective management through complicated and rapidly changing trade, geopolitical and market conditions helped deliver an impressively strong 2018 that included solid profit growth, improved returns on invested capital and higher cash flows. "We will continue working to deliver shareholder value in 2019 by vigorously executing our strategy, including aggressively working to improve execution in select businesses, accelerating our Readiness efforts to deliver increasing value, and harvesting the contributions from our acquisitions and organic growth investments. By continuing to pull the levers under our control, we are positioning ourselves to grow profits and returns in 2019 and beyond." 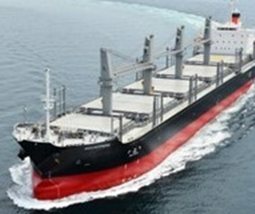 ADM was severely impacted by imposition of tariffs by China including the need to divert and salvage cargos of sorghum. The Company experienced increased costs following an incident in a Decatur IL. Plant. For the 4th Quarter of FY 2018 the Animal Nutrition Segment yielded a lowered operating profit ($62 million compared to $73 million) attributed in part to competition and "production issues" impacting manufacture of lysine. The Oillseeds Segment was the outstanding contributor to earnings generating an operating profit of $432 million compared to $201 million in Q4 2017.